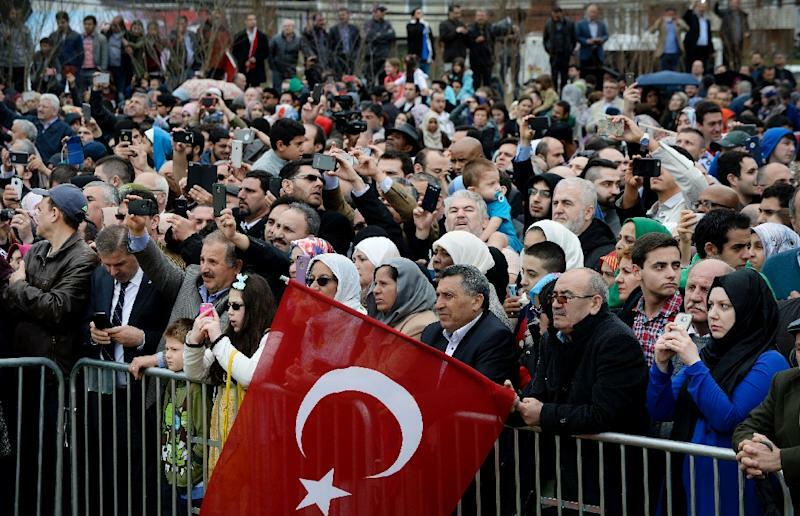 Lanham (United States) (AFP) - Beneath a majestic Ottoman dome, waving Turkish flags outside their brand new mosque, a group of US Muslims -- the faithful and the curious -- jostled Saturday to welcome a president. 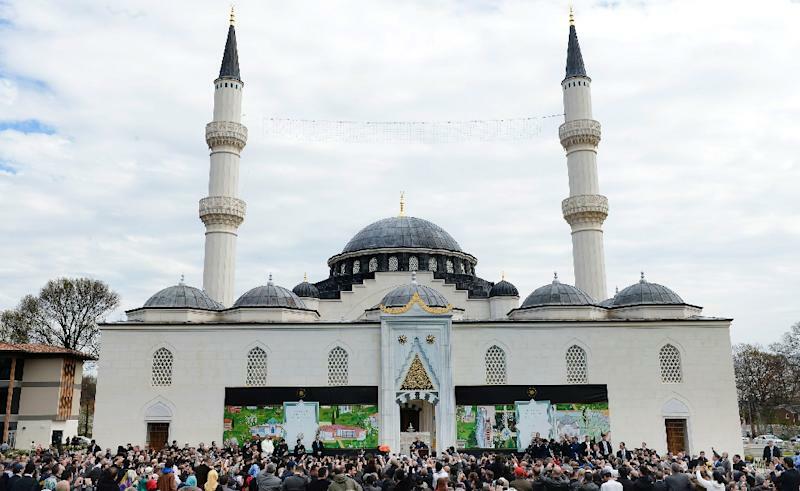 Hailing the beauty of its location near the capital Washington, Turkish President Recep Tayyip Erdogan officially inaugurated the Diyanet Center of America. Ankara's leader, whose country bankrolled the massive project at a cost of $110 million, said its presence in the small town of Lanham -- and during a US election year that has seen Donald Trump call for a ban on Muslims entering the country -- made sense. "Unfortunately, we are going through a rough time all around the world. 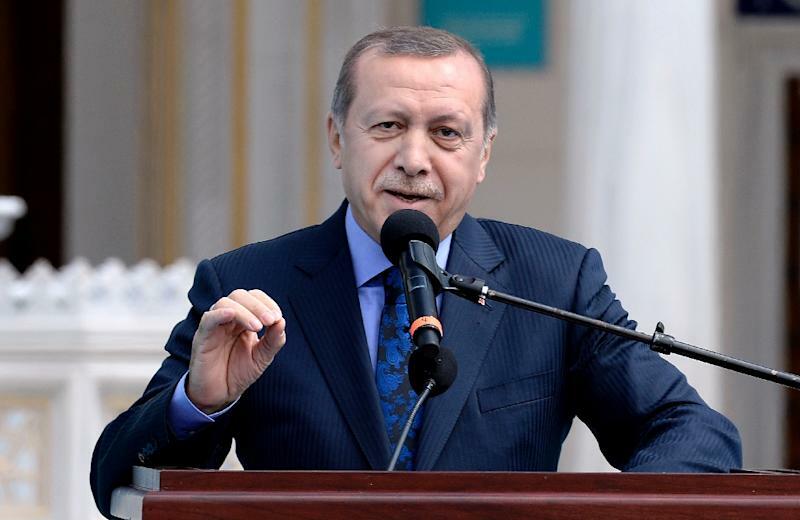 Intolerance towards Muslims is on the rise not only here in the United States but also around the globe," said Erdogan, who is accused of increasingly autocratic rule. "That's why I believe this center will play a crucial role," he added, drawing cheers from the crowd of thousands of men, women and children packed behind security barriers. The complex, the only one in the United States to feature two minarets, echoes the golden age of 16th century Ottoman architecture, with its central dome, half domes and cupolas in the style of Istanbul's Suleymaniye Mosque. "Terrorism will never have a religion, will never have a nation, will never have a nationality, nor will it ever have a root or ethnicity," Erdogan said. "It is unacceptable for the Muslims of the world to be forced to pay the price of the horror and pain created by a handful of terrorists in the aftermath of 9/11." Erdogan, who sparked fresh controversy on Thursday when his security detail clashed with media in the US capital, said anti-Muslim sentiment on the US presidential campaign was "very interesting, and shocking." But in fact, Erdogan argued, "just like all the other communities here in the United States, Muslim communities are contributing to the strengthening of the United States." As well as his clampdown on media at home, Erdogan and Ankara's relations with Washington have been undercut by Turkish strikes on America's Kurdish allies in the fight against the Islamic State group. Obama -- who turned down Erdogan's invitation to join him in cutting the ribbon Saturday -- admitted Friday that he was "troubled" by the path that his Turkish counterpart was taking his country down. That did not appear to concern many at the mosque ceremony. Ahsen Dasti, 39, bearded and with a head shaved, said he liked what the Turkish president had said about tolerance. "There is a lot of rhetoric (among White House hopefuls) that constitute appeals to hate towards Muslims," Dasti said. "This center can definitely build bridges between the different cultures and show what Islam stands for." The sprawling Islamic center is the perfect place for people in the American east, gushed Adnan Muhtasib, 76, a Jordanian who delighted at the splendid architectural detail of this "piece of Istanbul," with its gold-encrusted calligraphy. "This is a very good idea, especially for the Muslim youth," said Ibrahim Chakhalidze, 23. "The architecture is beautiful. I wish I had the same at home in Utah," he added, remarking on the new facility's features from basketball courts to Turkish baths. "When we see this complex, it makes us proud" to be Muslims, he said with a smile.